Summer in Iceland; is there anything that’s more magical and amazing than Iceland in its prime? Everything’s at its peak, it’s beautiful, there’s so much to do and see, but we need to talk about things like daylight hours and weather, so you can plan for your trip the best way possible. 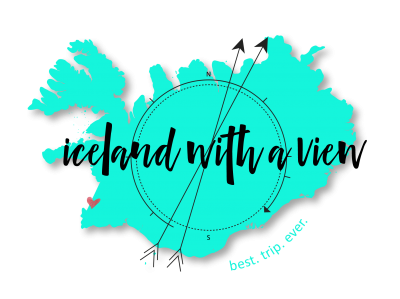 Hello, Team Iceland, my name is Jeannie, and you are in the best place possible if you have an Iceland trip coming up during the summer, because I am your tour guide and I want to tell you all of the things. Today we’re talking about the weather, the daylight hours, and the pros and cons about summer in Iceland. Let’s get into it. So the first thing to note is, when I refer to summer I am talking about June, July and August, it’s a short window. The temperatures during this time of year range from anywhere from 45 to 65 degrees Fahrenheit, or 7 up to 15 or 16 degrees Celsius. I have seen Iceland when the temperatures can range up from 18 until 20 degrees Celsius, but this is so super rare, and I would not prepare for that. I would say that an average summer day in Iceland is around 55 to 60 degrees Fahrenheit, or 12 to 15 degrees Celsius, a.k.a you’ve got to leave your shorts at home. While this temperature feels good after the winter in Iceland, chances are, especially if you’re coming from a warm climate, you are not going to feel like the proper summer, it’s going to feel a little colder than you’re used to. So the daylight hours vary a lot during the summer. The summer solstice is June 21st and so that means that every day after that gets a little bit less daylight. But in general, of course, summer is the most brilliant time for all of those long daylight hours, which is great for exploring. In June, you’re going to find around 20 to 22 hours of daylight. This just means that the sun is out and it’s bright in the sky and you can do all of the things. Into July, that number goes down to around 19 hours. Then in August you’re down to 16 hours. So you can see that it changes quite rapidly. However, you’ll still have plenty of time to explore. June is when you’re going to be able to experience that midnight sun. This is basically when the sky is like always light. So at midnight it still feels like it’s the middle of the day, crazy, crazy for your mind, let me tell you. All right, so let’s talk about the pros of summer in Iceland. This is pretty easy, this is a long list because obviously there’s a lot of pros to summer in Iceland. So the first pro is that it’s the time of the midnight sun or the long daylight hours. So like we just talked about, plenty of time for unlimited Iceland exploring. Another obvious pro is that this is the time when Iceland is in full bloom, so you’re talking about green luscious landscapes, the flowers, the trees, the sun, everything is in its peak color and beauty. So if you think of like those classic Iceland photos, this is the time that those pictures are taken. Another really, really nice thing about summer is that all of the animals are out and exploring, and then the animals that migrate away from Iceland during the winter season are in Iceland during the summer, so whales, puffins, along with your normal sheep, horses and all of those wonderful creatures. A huge pro, in my opinion, is that summer is when access to the highland and interior roads are open, so access to Landmannalaugar and Thorsmork is what you’re going to find during this summer, so this is a huge bonus for those of you that want to get interior in the country, off the beaten path, and away from a lot of other tourists. Right along with that is easier access to the west fjords. So in general, I usually recommend the Westfjords during the summer months, in general, just because it’s a lot easier traveling and driving around, you don’t have to worry about the stony roads or anything like that. So Westfjords, highlands, and Landmannalaugar all in prime exploring condition. 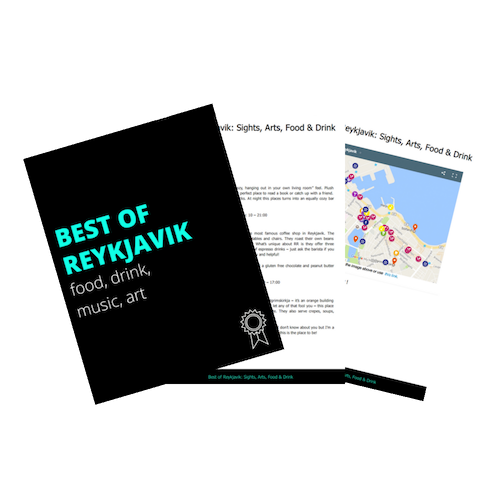 The major con about coming to Iceland during the summer is that it is peak tourist season, and this means a few things for your planning which you want to keep in mind. That is that, A, there’s going to be a lot more people at all of the tourist attractions, so you can expect areas to be a lot busier, it’s harder to find parking, and everything like that. Next is that everything is way more expensive, so everything from tours to food to accommodation, everything is going to be more expensive because it’s peak season and they know that people are there and they’re going to buy it anyway. Lastly with peak tourist season, is to really, really note that because so many people are traveling to Iceland during the summer, those accommodation spots are going to book up months and months and months in advance. So do yourself a favor and book as far in advance for your accommodation as you can. I promise you’ll thank me later and you won’t be paying like $500 a night for a basic hotel. Lastly, the con of coming during summer is that you’re not going to be able to experience the northern lights. So if the northern lights is something that you want to see and that’s a huge thing on your bucket list, summer in Iceland is not the time for that. All right, my friends, that is all for today about summer in Iceland. I hope you love this video. Make sure to give it a thumbs up, and let me know in the comments below, when are you coming to Iceland and what are you the most excited about seeing? I will see you here next week!